(Dedicated to ALL of my REAL Women sisters who have walked hand in hand with me through this difficult process). 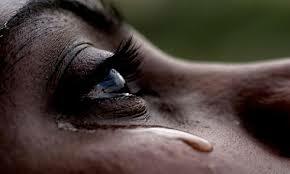 My heart was throbbing with pain; my eyes bloodshot red from the tsunami of tears that violently burst out of them. The non-linear tracks left on my cheeks were indicative of the voice of my wounds refusing to be polite and remain silent anymore. I just wanted the hurt to go away. I must admit, this caught me off guard. Although I knew there was more healing, processing, and “getting over” my hurtful situation that needed to be done, I thought I was closer to the scabbing of my wound that eventually would lead to a scar. I could handle a scar. I viewed scars as beautiful reminders, lessons, and experiences learned from the PAST. Key word…PAST. My mind had played a trick on me causing me to believe this level of hurt was a distant memory. My wounded soul declared IT WAS NOT! The gaping wound was still very much part of my present. This saddened and enraged me all at the same time. I battled through the day trying desperately to perform my daily tasks without allowing myself to become completely undone. It was difficult, but I managed to make it through. As I sat in my bed, I asked myself, “What do you need?” It was hard for me to determine in my present state. I listened to the sweet melodic sounds of the song that once brought me so much joy. I pushed play over and over again. I couldn’t stop. The happiness I felt for a brief moment quickly turned into grief. What was wrong with me!? Why was I choosing to immerse myself in painful memories of the past? I was becoming completely undone. As I wiped away the countless tears from my face and reached to hit play again, I saw an IM flash on my phone that I was holding. The message read, “Hey Sis. Checking in on you. How are you?” Of course, this stopped me dead in my tracks and caused another outburst of weeping. But this time, it was tears of relief. In spite of her hectic schedule, my REAL Women sister had stopped for a moment to be obedient and listen to Our Creator who told her to reach out to me. This led to an inexplicable level of comfort knowing that not one of my tears that had been shed was overlooked by Him. Wow. 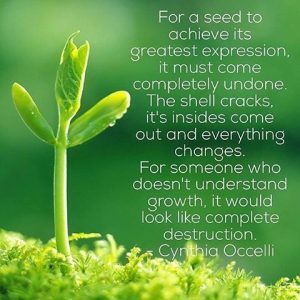 There is something beautiful that happens even in the process of becoming completely undone.